No dollar threshold on 8 (a) sole-source/direct awards [13 cfr 124.506 (b)]. The government can award sole-source contracts up to $22M in value without justification and approval (J&A), and awards over $22M with J&A. 8 (a) Awards to Tribally-Owned firms cannot be protested [13 CFR 124.517(a)]. Awards made to tribally-owned companies are not subject to protest. Department of Defense Indian Incentive Program (IIP). This congressionally-sponsored program provides a 5% rebate to federal prime contractors and subcontractors that subcontract to Indian-owned organizations. Congress has established a 23% government wide goal for awards of contracts to small businesses. Subsets of the small business goal are a 5% government wide goal for awards to small disadvantaged businesses (SDBs), a 5% government wide goal for awards to women-owned small businesses (WOSB), a 3% government wide goal for awards to a historically underutilized business zone @ (HUBZone) small businesses, and a 3% government wide goal for awards to service-connected disabled veteran-owned small businesses (SDVOSB). A contract can get counted towards more than one goal. The Tribal Small Business Administration (SBA) 8 (a) program is a formal business development program designed to assist socially and economically disadvantaged small business, such as tribally-owned small businesses that are at least 51% owned by an Indian tribe, to enter the federal marketplace through training and development in contracting, financial, technical, marketing, and management skills. Tribal small businesses can use the 8 (a) program as a tool to successfully market and compete for federal contracts. Tribes are unique because they may own multiple entities participating in the 8 (a) program. In addition, Indian tribes are exempt from competitive threshold limitations per 13 CFR 124.506(b) and are eligible to receive sole-source contracts of unlimited value. Contracting or partnering with a tribally-owned 8 (a) entity stimulates economic growth and career opportunities that benefit the tribal and surrounding communities. The federal government’s goal is to award at least 3 percent of all federal contracting dollars to HUBZone-certified small businesses each year. The Michigan Department of Transportation (MDOT) Disadvantaged Business Enterprise (DBE) Program is a federally required program designed to ensure that firms owned and controlled by minorities, women, and other socially and economically disadvantaged persons have the opportunity to grow and become self-sufficient through participation in federally funded MDOT contracts. MBE Certification is the process by which a business is verified as being minority owned according to the criteria set forth by the National Minority Supplier Development Council (NMSDC). The NMSDC’s requires a business to be at least 51% owned, operated and controlled by racial or ethnic minorities who are also U.S. Citizens. Once a business is granted an MBE certification, its business contracts may be counted toward the minority spend goals set by the top corporations across the country. The distinction as a certified MBE gives minority owned businesses a competitive advantage when seeking corporate partnerships and contracts. By becoming a certified MBE, Michigan’s minority owned businesses gain access to contract opportunities with some of the largest and best-known corporations, educational and governmental institutions throughout the country. What is the Buy Indian Act? The Buy Indian Act, 25 U.S.C. § 47 is a law that authorizes the Department of the Interior, including the Bureau of Indian Affairs (BIA), the Bureau of Indian Education (BIE), and the offices of the Assistant Secretary – Indian Affairs (AS-IA), to purchase supplies, services and certain kinds of construction from qualified Native American vendors (“Indian economic enterprises”) . The Buy Indian Act is implemented by the Department of the Interior Acquisition Regulation Supplement, Title 48 of the Code of Federal Regulations, Part 1480, which requires Indian Affairs to use the Buy Indian Act authority to give preference to Indians whenever authorized and practicable. Although a non-profit entity, the GTB can own a for-profit 8 (a) company. Often referred to as a “Super 8 (a)” (although not an official government term), this type of company can bid on Federal work under the SBA program. Our companies have a different name and a unique mission. Together they form a growing network of subsidiaries that span many industries. We work with government agencies and industrial leaders in fields as diverse as construction management and engineering, and technology. 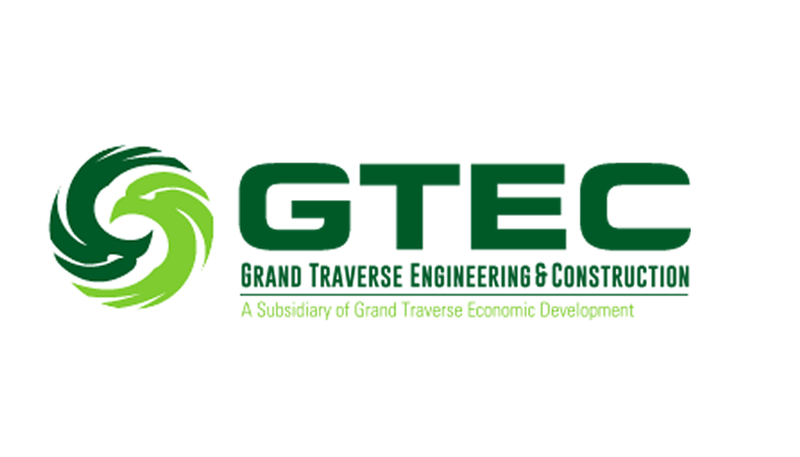 Grand Traverse Engineering & Construction (GTEC), is a tribally-owned certified small business that delivers innovative engineering, construction management, water resources engineering, and transportation planning solutions to federal, state, commercial and tribal entities. Bay Shore Steel Works (BSSW), is a tribally-owned certified small business that provides high-quality fabrication, machining and finishing services to clients in the aerospace, automotive, alternative energy, and heavy equipment.